Nateghi-A, F., Parsaeifard, N. (2013). Studying the Effect of Initial Damage on Failure Probability of One Story Steel Buildings. 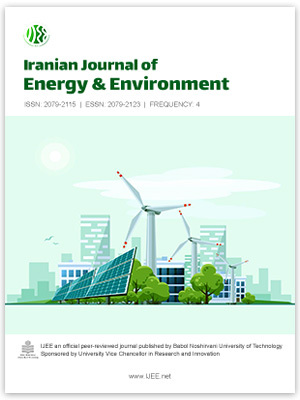 Iranian Journal of Energy and Environment; previously called: Iranica Journal of Energy & Environment, 4(3), -. F. Nateghi-A; N. Parsaeifard. "Studying the Effect of Initial Damage on Failure Probability of One Story Steel Buildings". Iranian Journal of Energy and Environment; previously called: Iranica Journal of Energy & Environment, 4, 3, 2013, -. Nateghi-A, F., Parsaeifard, N. (2013). 'Studying the Effect of Initial Damage on Failure Probability of One Story Steel Buildings', Iranian Journal of Energy and Environment; previously called: Iranica Journal of Energy & Environment, 4(3), pp. -. Nateghi-A, F., Parsaeifard, N. Studying the Effect of Initial Damage on Failure Probability of One Story Steel Buildings. Iranian Journal of Energy and Environment; previously called: Iranica Journal of Energy & Environment, 2013; 4(3): -.